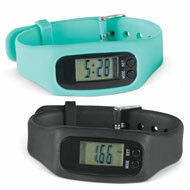 Easy To Read Silicone Stretch Band Watch from Collections Etc. $11.99 $9.99 Save up to 17% Now! 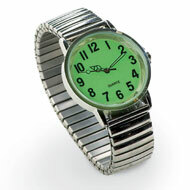 The stretchy silicone band on this attractive watch allows you to put it on and take it off easily. The braided design is stylish and comfortable, and stretches to fit perfectly without tricky clasps, hard-to-fasten buckles, tight leather straps or pinching links. 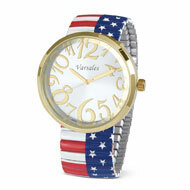 Available in 6 colors, it features a precision quartz movement, easy-to-read dial and sweeping second hand. Includes 1 button cell battery. Iron, silicone and zinc. Colors available in Black, Burgundy, Pink, Royal Blue, Teal and White. Comfortable watchband easy read watch face. I would buy this again if it was smaller. Product came broken, I cannot use it. I would buy this again if it worked.